SpaBoom, the spa industry's preeminent provider of online instant gift certificates and spa marketing, announced they've facilitated over $50M in sales for their spas since inception in mid 2005. 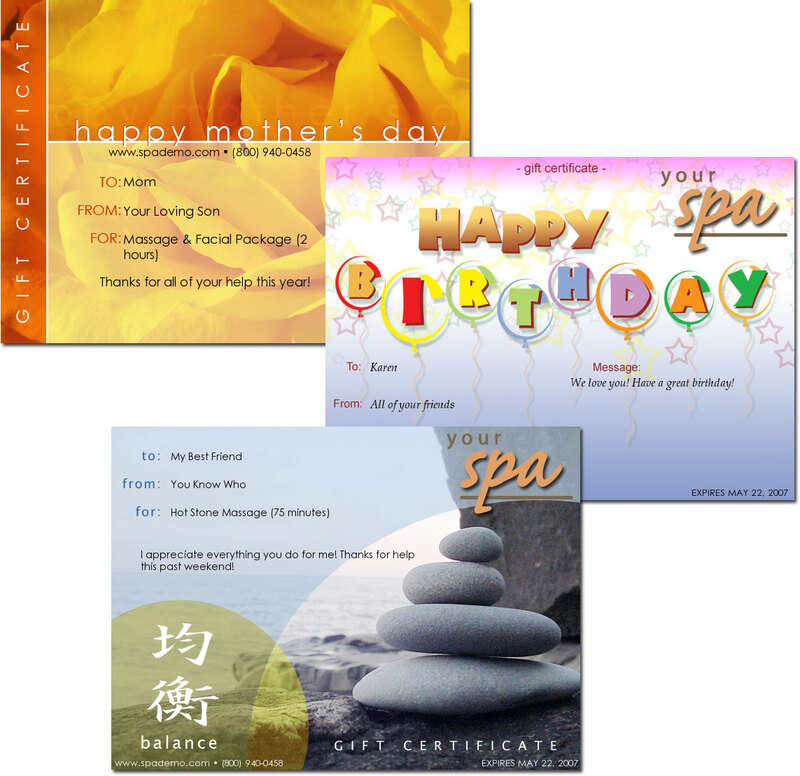 A majority of those sales have occurred after postal deadlines have passed and represent gift sales the spas would not have otherwise enjoyed, demonstrating how SpaBoom's technology strongly augments spas', salons' and massage therapists' gift programs. "An increasing number of shoppers seek great gifts online, and over half of those wait until the last minute to do that," said Bill Bice, SpaBoom's CEO and founder. "We're helping our spas reach their online audience, which solves an important consumer need. We're driving online revenues for local, small businesses, which bodes well at all times, but particularly so in a tough economy. It's a win win proposition, and we make it no-risk as well." SpaBoom has recently added to its core offering by including Blissful Online Marketing, a feature set including automated email campaigns and website content tools; Online Booking; and Joy of Spa, a national online magazine for women who love to spa. All features are included at no extra charge with SpaBoom service, and encourage spas to extend all aspects of their marketing online to increase client retention and generate online revenues. "Our new features provide powerful online marketing tools that, bottom line, increase spa revenue," said Stephany Toman, SpaBoom's Marketing Director. "Spas need to aggressively and consistently market themselves online, and we give them a way to do that. Spas easily produce measurable results with no additional expense." SpaBoom has facilitated over $50M in online sales for its spas, providing Instant Online Gift Certificates, Dynamic Websites, Online Booking, Blissful Online Marketing, and now Joy of Spa, a national online magazine for women who love to spa. All offerings meld form and function, combining beauty and elegance with highly effective technology that increases online visibility, encourages client retention and drives online revenues. To learn more, please visit http://www.spaboom.com.